Audiences of all ages love the relaxed and intimate ambience 2Smooth create with their mix of smooth jazz and contemporary ballads. Exquisite piano and crystal clear vocals make this duo a must for any function or venue that aims for a classy laid back atmosphere. Perfect for cocktail receptions, poolside welcome receptions, product launches, mood music over dinner, restaurants, private parties, cocktail lounges and lazy Sunday afernoons. 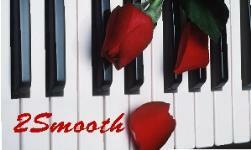 2Smooth offer an extensive repertoire of popular songs from the 1930’s through to current hits. Based near Byron Bay so available for gigs Coffs Harbour - Gold Coast - Brisbane - Sunshine Coast.